Three affordable handlebar options now available across the country. 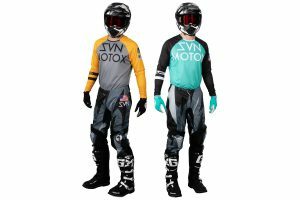 Lusty Industries, the Australian distributor of ODI, has unveiled three handlebar models that are used by the world’s leading riders, including Australia’s very own Chad Reed. 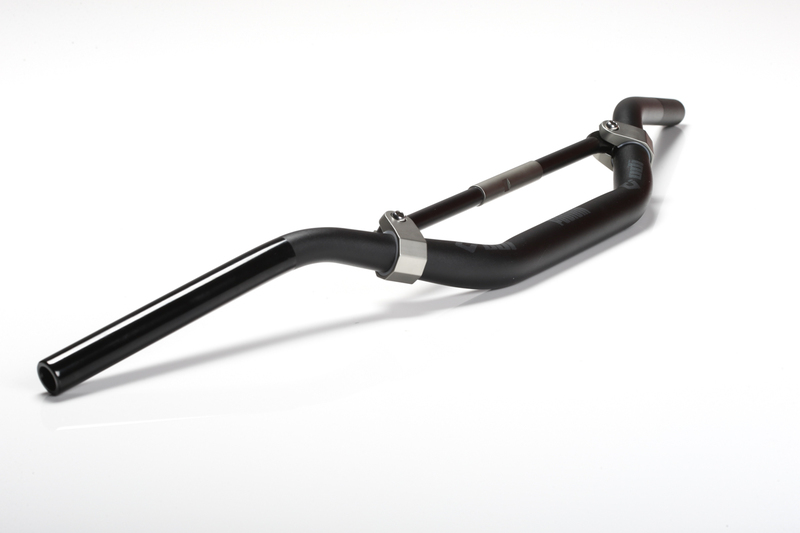 The new Podium Flight MX handlebars are the latest in the development of ODI’s motocross handlebar technology. With their own tubing profile and design, they’ve created a non-braced handlebar that has already proven worthy of race wins. The Podium Flight bar is constructed of a 2014-T6 alloy to provide added strength, focusing more on racers and those riders looking for the perfect balance between strength and style. 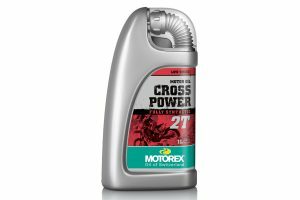 The Podium Flight has been vigorously tested by top supercross and motocross racers, and is the handlebar of choice for the Rocky Mountain ATV/MC KTM team. – 1 1/8″ clamp diameter (requires ‘oversized’ triple clamps or bar mounts). – Constructed of 2014-T6 alloy for added strength. – Stealth 2-T oned graphics. – Knurled left slide helps with grip bar adhesion. – Includes high-density foam bar pad. – Multiple bend options available. The newest ODI motocross handlebars featuring the patent pending Controlled Flex Technology crossbar system is the Podium MX CFT. The handlebar is constructed of a 2014-T6 alloy to provide added strength and is available in a host of bends to ensure you have the perfect feel. – Controlled Flex Technology crossbar. – 1 1/8″ clamp diameter (requires ‘oversized’ triple clamps or bar mounts. – Includes crossbar pad available in seven colour options. 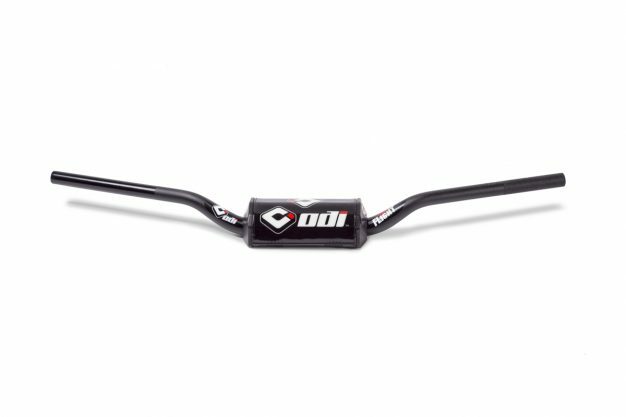 ODI’s MX handlebar is constructed of 7075 Alloy material and boasts 7/8″ size, designed for riders looking for a stock replacement or feel. 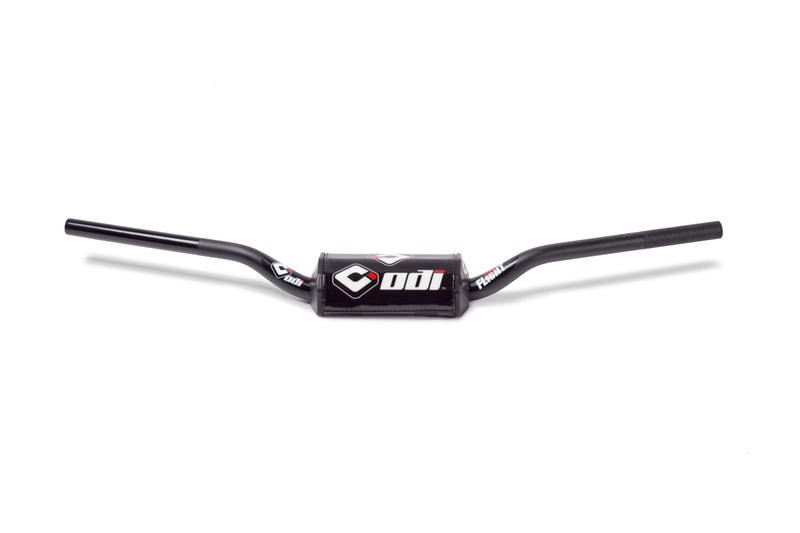 Available in four bend options this bar is ideal for MX, ATV and mini bike racers. – Constructed of 7075 alloy for added strength. – Includes black crossbar pad. 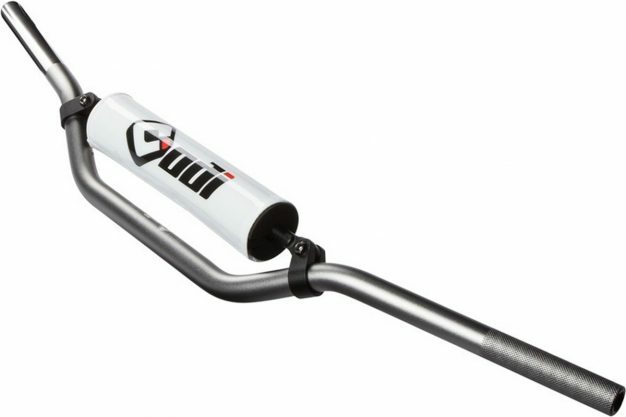 The Podium Flight and Podium CFT handlebars are priced at RRP $129.95 and RRP $194.95 respectively, while the 7/8″ MX handlebar comes in at RRP $89.95. For more information, visit www.lustyindustries.com.